Oddly enough, I think I've seen everything Darren Lynn Bousman has been a part of. It wasn't on purpose, it just kind of happened that way. One weekend, months ago, I decided to struggle through the Saw series. At a random party I attended, Repo! The Genetic Opera was playing in the background. One rainy day I happened upon 11-11-11 via Netflix, and while Darren isn't a necessarily a fan, I thought it was more entertaining than driving around in the drizzle. Needless to say, I am a fan, and when I was given the opportunity to check out his latest feature I decided to not wait for a stormy weekend, this time anyway. Let me set the scene. It's the 1950's in small-town Georgia, a pregnant con woman on the run seeks refuge in a convent hidden in deafening isolation. What first starts out as the perfect place to have a child turns into a dark layer where silence is forced, ghastly secrets are masked, and every bit of will power Agatha has is tested. She soon learns the sick and twisted truth of the convent and the Odd people that lurk inside its halls. Agatha must now find a way to discover the unyielding strength needed to escape and save her baby before she's caged behind these walls forever. While most of the conversation had to do with St. Agatha, I had a great time chatting with Darren. St. Agatha was the freshest piece of his work on my mind, and I was happy to discuss it. Looking back though, I wish I could have dug into his mind a bit longer. Darren's film 11-11-11 is vastly under-appreciated. It might not be the best film ever made, but there is something interesting there that I clung onto. Also, how about The Devil's Carnival? There is just so much to unpack! Regardless, I have a lot to ask our next go around, I mean, the guy is filming a movie as we speak, so I'm sure we'll cross paths again. 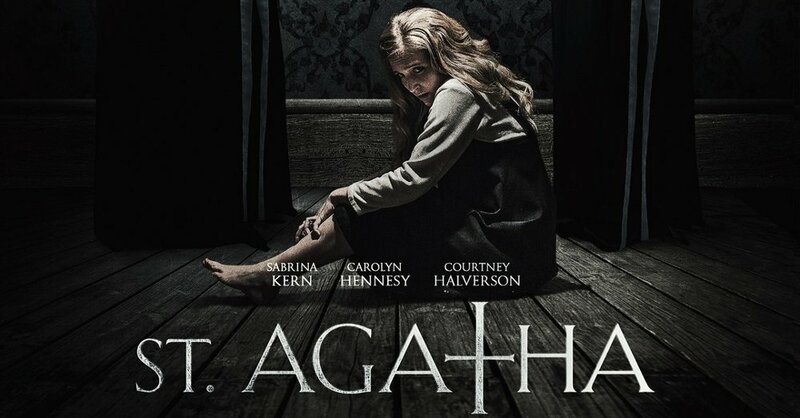 Uncork’d Entertainment will release the horror/thriller St. Agatha in theaters and On Demand on February 8, 2019. So, grab a loved one, and go see it! If not on the 8th, the 14th will work as well. St. Agatha apparently is THE movie to see this Valentine's Day.